A flute duet between Earth and Space to celebrate 50 years of humans in space! 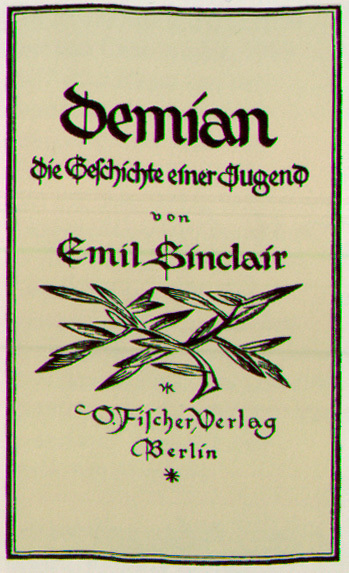 It was first published in 1919 under the pseudonym "Emil Sinclair." As usual, it's rich with allegory about the self-realization process. From then on I occasionally sat outside the church or paced up and down before it during the evening hours. Once I even found the door open and sat for half an hour in a pew, shivering against the cold, yet happy as long as the organist played in the loft. I not only distinguished his personality in the music he played -- every piece he performed also had affinity with the next, a secret connection. Everything he played was full of faith, surrender, and devotion. Yet not devout after the fashion of churchgoers and pastors, devout the way pilgrims and mendicants were in the Middle Ages, devout with that unconditional surrender to a universal feeling that transcends all confessions.